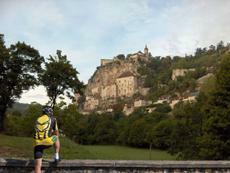 This is an 8 nights and 9 day cycling holiday to the historic Dordogne area of France. The tour starts and ends in Souillac and there are stop overs in Rocamadour, Sarlat, Les Eyzies and Montignac. Overnight stays are in mainly 2 star country hotels, and Bed and breakfast is provided throughout. On five nights evening meals are included at the hotels. The cycling is graded as Moderate, as there is much riding on the high plateau and along the valley floors, but there are also the inevitable hills between the two. Most of the route is therefore hilly but not mountainous punctuated by the odd climb out of the valleys of up to 300m. The maximum distance on any stage is 48km. Bike Hire 90 Euros. Price includes a Euro currency surcharge of £31.48 (£6.60 on single supplement).